Manila, Philippines – Canon Marketing (Philippines), Inc. (CMPI) appoints new executives in its aggressive pursuit to solidify its business in imaging and printing solutions that will ultimately bring delight to Filipinos. 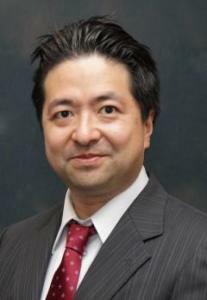 Kazuhiro Ozawa joins CMPI as its new President & CEO following the retirement of Lim Kok Hin, who served Canon for 35 years. Meanwhile, Anuj Aggarwal takes on the role as Vice President to oversee the company’s corporate and finance divisions. Kazuhiro Ozawa, 53, has set his sights on sharing the advancements in Canon technologies that will drive the company’s business performance to greater heights. In his 28 years of service to Canon, Ozawa has been exposed and immersed with different markets from Europe, the Middle East, and Southeast Asia. His movement from his last post in Canon Singapore to the Philippines deems to steer the wheel of the company to its endeavor of solidifying itself as an imaging solutions provider to individuals and businesses alike. “The Philippine market has a lot of potential.” Ozawa remarked. “We know Filipinos are enthusiastic photo-takers and are talented enough to fuel their passions, such as photography and videography, and turn them into something profitable. Meanwhile, Anuj Aggarwal joins the organization with over 20 years of experience in the finance industry and helms from his previous post as Vice President & Chief Financial Officer of Canon India Private Limited. 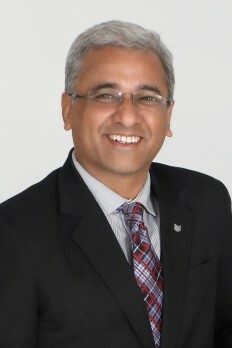 Among his extensive list of achievements include being awarded as “One of India’s Greatest CFO’s” by India’s Greatest.com, and establishing Canon India’s Finance, Legal, Taxation and Corporate Planning divisions. “This new endeavor with the Philippines is something I have been looking forward to. The promising market excites me to go forth with our plans that will lead to continuing business growth and positive contributions of Canon to the Filipino community,” says Aggarwal. Together, Kazuhiro and Aggarwal aim to lead CMPI’s business growth while putting equal priority on the company’s corporate social responsibility and sustainability programs. Both are looking into opportunities that will define the company’s products and services as added value not just for personal uses, but for the needs of the Philippine nation as a whole. The appointment of the two executives also adds another highlight on the celebration of Canon’s 20th year in the Philippines.